Specialized-lululemon’s Loren Rowney has taken a win in the City of Beaumont road race event of the Redlands Bicycle Classic. Rowney won the bunch sprint from the final selection of 28 riders who arrived at the finish line at the end of the challenging 120km circuit race. The race split up on the main climb each lap of the circuit and the final couple of laps saw a group of around 30 riders arriving at the finish line in the front group. Neben finished in the bunch to retain her second place in GC. 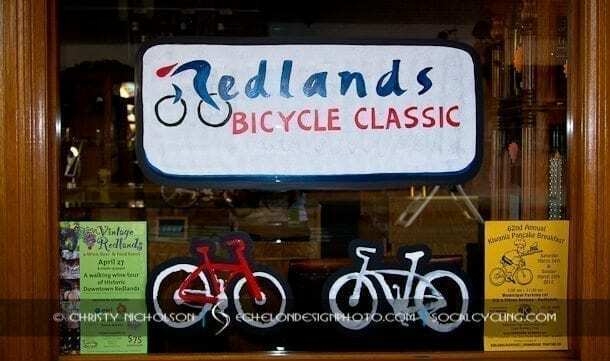 Tomorrow the girls will line up in the City of Redlands Criterium stage in downtown Redlands. Race Leader Megan Guarnier (Team TIBCO) finished 5th and remains in the leaders jersey. In the Pro Men’s Race, Patrick Bevin (Bissell Pro Cycling) won the field sprint ahead of Freddie Rodriguez (Team Exergy) for second and Sean Sullivan (Elbowz Racing) in 3rd. Phil Gaimon (Kenda/5hr Energy p/b Geargrinder) remains in the leaders jersey.